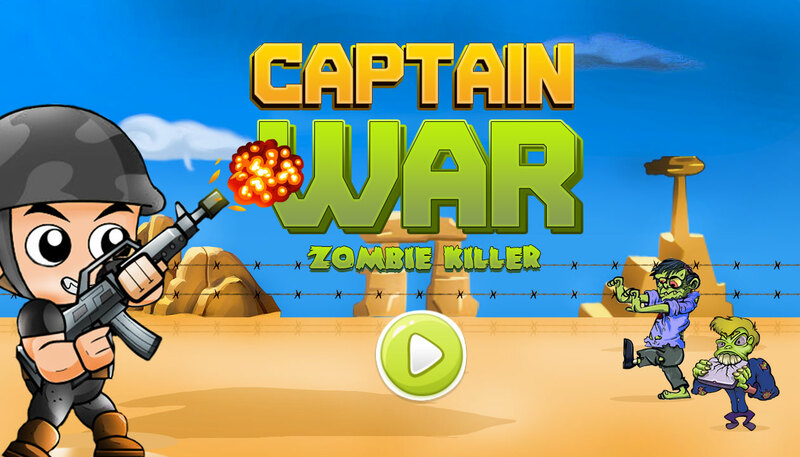 Captain War : zombie killer is a addictive game where your soldier have to kill all the incoming zombies. 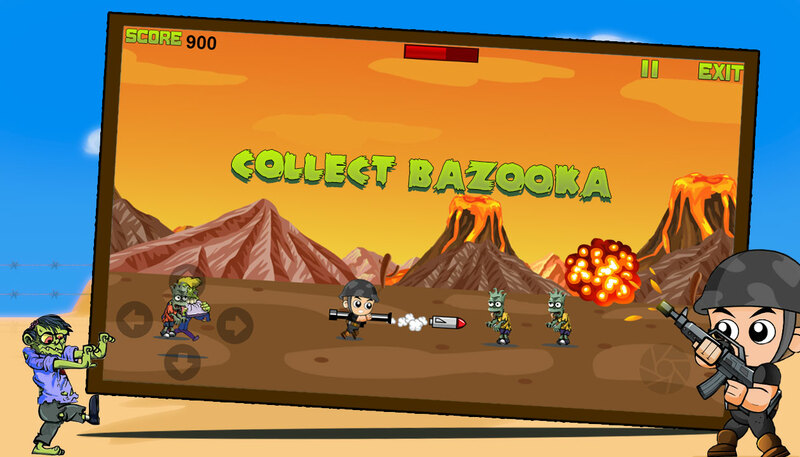 In this war your captain has cool amazing guns against zombies. 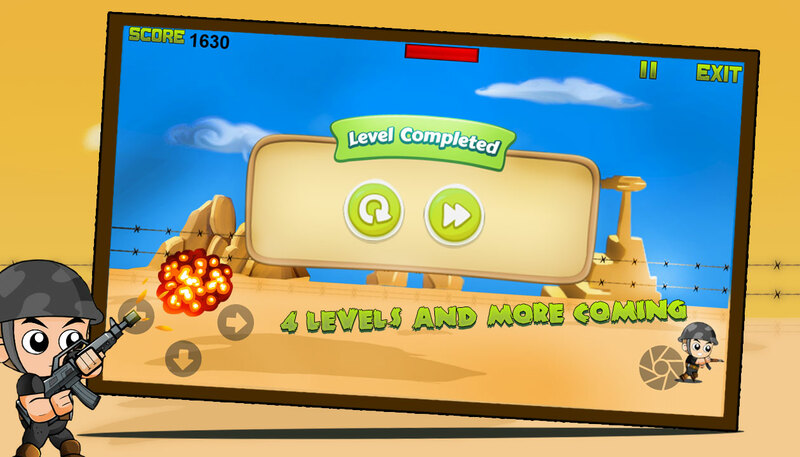 With wonderful graphics and amazing game play in addition to cool sounds you will love the game. 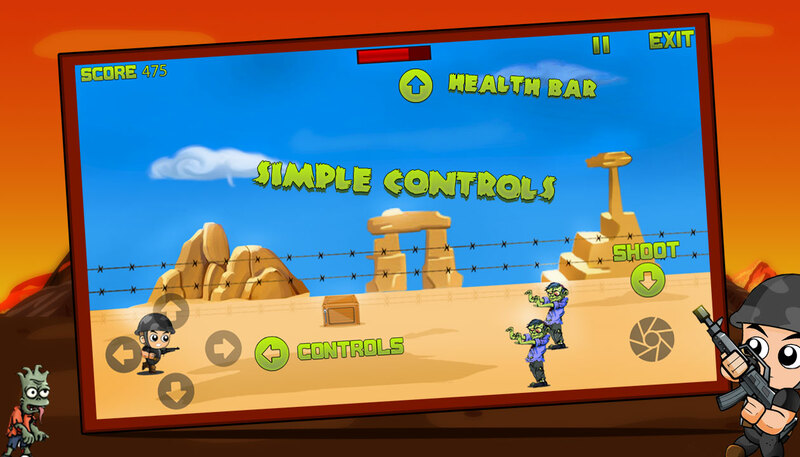 SIMPLE CONTROLS Touch on arrows to move the captain and press shoot button to kill zombies. 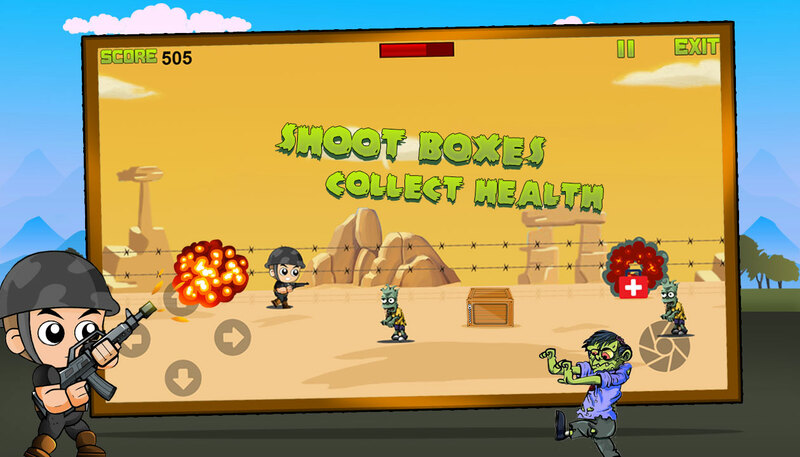 SHOOT BOXES Destroy boxes to collect health and awesome guns (Machine Gun and Bazooka). HEALTH BAR Collect health to increase blood. 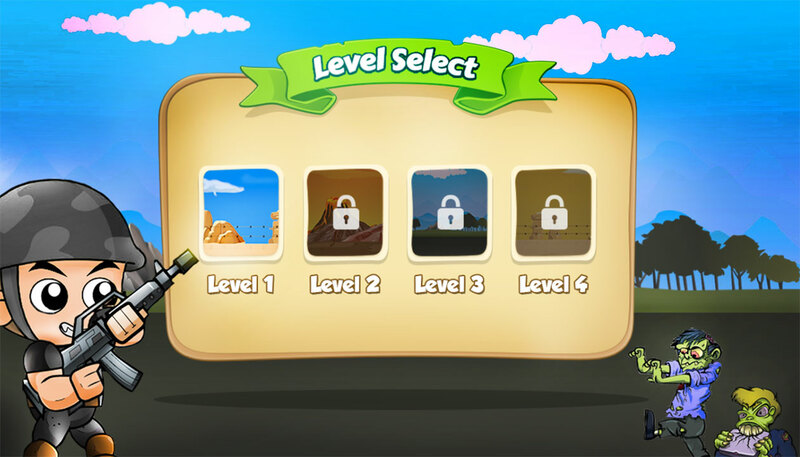 4 LEVELS There are 4 amazing levels to play with nice graphics. 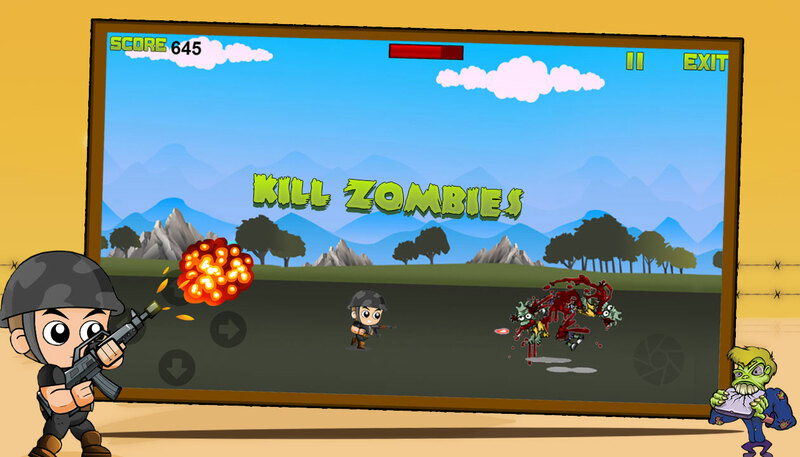 So zombies are coming now get your awesome gun and lets start killing zombies. Thank you for downloading "Captain War : Zombie Killer"